Empyrion server hosting is pretty well priced for an Early Access game. You can find some of the major game hosting companies offering packages for Empyrion on this page. In development with Eleon Game Studios, Empyrion is the next space-faring survival game. Take to the stars with your own personally designed ship and collect resources and means of survival to your hearts content. Do be aware, though, Empyrion isn’t exactly known for being a particularly safe place. With a whole roster of planets for you to explore, the likelihood of encountering something new is incredibly likely. New species, new creatures, and more importantly, new resources are all on the cards for you. Why build a new rifle when you can finally perfect your favourite ship in the blink of an eye? Looking at the game aesthetically, it’s set in a 3D space (literally) and allows for plenty of customisation on that player’s point of view. Each planet on offer has an interesting direction for its environment. Whenever a new planet is located, it’s expected to be somewhat different from the last one. New creatures are to be found, along with many other new discoveries, and it gives the player a real reason to explore. Space can be a cold, hard, and lonely place. So, why not bring a friend along with you? Depending on how you want to play, you can split a ship between you or let your creativity flow and make one each. After all, there’s plenty to see and explore out in space for Empyrion and it should be enjoyed with a partner. Before too long, you’re bound to appreciate a partner that helped you take down a terrifying spider-monster on an unexplored planet. Although, with the array of weapons at the player’s disposal, there shouldn’t be too much to worry about! Exploration – the vast space and planets within Empyrion allow for hours and hours of exploring. Craft yourself a space based vehicle and you can take it into the skies and out into the abyss to explore new worlds to find more challenges to conquer. Building – much like other craft and survive games you can build bases and structures as well as vehicular craft. Go crazy with the building materials and build space ports and other large scale structures that can aid in your defence. Survival – give your game-play a point and try to survive instead of stick with creative mode. With survival you must look after your health and vital signs as well as build, giving the player a point to the game and extending its interest to you greatly. Some of the best names in game server hosting have jumped onboard to offer Empyrion server hosting. With this healthy level of competition in the niche you can find servers priced pretty low. This is a nice surprise as newer games typically command higher prices per slot. Game hosting companies like to cover their back with higher prices as they usually have to deal with support requests. Especially with newer games these support requests can take time to solve as they are new issues unseen before. In terms of the cheapest price per slot, that title goes to PingPerfect. The guys at PingPerfect have a reputation for always being available to help through support. They have an extensive games catalogue and take on the newer games very quickly. The server locations that they have to offer spread all around the world with every region appearing to be covered. This position as the cheapest is prone to changing though but we are sure PingPerfect will remain relatively cheap. Our title for best host for Empyrion – Galactic Survival goes to the guys at Host Havoc. Looking through the reviews im sure you will agree that people really appreciate the hard work they do in support. 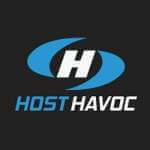 The reason Host Havoc have been able to drive down prices across many games is down to automation. They know servers inside and out and this has led to them being able to slash costs while retaining quality. The Canadian team behind Havoc have extensive hardware and software knowledge backing them. When shopping for Empyrion server hosting make sure that you check these features. Their are a lot of other factors to check but these ones are more important for this game. You may not experience this until too late but a game hosting company may not be in the same time zone as you. A lot of the companies on CompareGameHosting will have staff available every hour of the day to sort your issues. Waiting 12 hours for your issues to even be noticed before being fixed can be annoying. Imagine paying for a server that wont work until you get a response from support, while you continue paying for it. Have you ever sat around and waited for a server to be setup? Well it is a boring and tedious wait which can be avoided. All you have to do is choose a company that offers Instant Setup at time of purchase. We are almost 100% sure that all of the companies that we list have this, its one of the things we check. In this day of age with game server hosting the platforms that companies should be using will handle this. If you do not have instant activation of your server then you may have bought into a company that isn’t worth sticking with. This team of experienced game developers came together in 2013 to create the ultimate space game. From their own experiences and disappointments in the genre they set out to make the ultimate title. Eleon Game Studios are currently working on Empyrion and only that game. The company website is pretty brief but an about us page on the Empyrion website explains further. They are quoted as saying that each team member with them on average “has more than 10 years of industry experience”. According to the official FAQ for the game, they say that they would like to bring Empyrion to game consoles. As the game is built on the popular Unity 3D engine the work should be easy as its been done many times before. Going by what people are saying on the official Steam page for Empyrion, the feedback has gone from good to bad. The main complaint recently is from players who have previously enjoyed this game and dislike its current direction. It seems that the developers are simplifying the game and its physics, much to the annoyance of the players. Perhaps the developers had bitten of more than they could chew with how complex the game is. They did set out to create the ultimate space craft and survive title. They now must find the right balance between play-ability and visionary direction. The game is still in Early Access so heavy development to the game is expected. Empyrion is priced fairly well, low enough to give it a go and not see a dent in your pocket. Almost an exact copy, Space Engineers beat Empyrion to the punch. This game evolved over the years from a simple floating space ship building game to a full blown survival classic. As the developers added more and more functionality the game grew a large player base. Originally you didn’t have planets/moons to land on and as they added them the game really changed. They also added more survival elements like weapons and health which shifted the way people played the game. 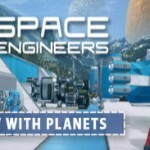 The Space Engineers servers list is huge now and filled with varied gaming styles. 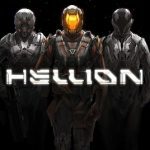 Very similar to Empyrion but lacking the ship building element is Hellion. It is still a craft and survive style game but more in the respect of items you collect. You are required to use the bits floating around you to construct tools and weapons to help you survive. Their are plenty of space ships and environments to explore either on your own or with friends in Hellion. The game is still under heavy development and is available through the Steam platform for download now. 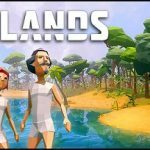 Another new title for 2018 is Ylands, this game has exploded since coming onto the scene. It does lack the space element of Empyrion but makes up for it with versatility. The low poly graphics are a nice alternative to dodgy looking “photo” realistic graphics in some games. The crafting possibilities are what really set Ylands apart, you can create awesome structures and vehicles. The game was created by the same team that brought us the Arma series of games. This is quite the opposite though, with Arma being an ultimate military simulator. We cant not give Minecraft a mention in a craft and survive game! Everyone seems to have played this game at some point, its ability to appeal to everyone is amazing. Empyrion is very much like a space based Minecraft game. If you have never tried Minecraft we recommend you do. The game can become whatever you want it to with mods and texture packs changing the level of graphics quality. 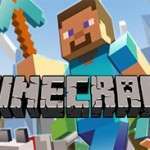 The community of players that live in Minecraft games is astronomic. You can find servers with thousands of people connected all at once. That kind of gaming is unheard of in other titles. If you are sick of the in-game server list in Empyrion we have created a solution. Our sister site BestServers contains the fasted and most up to date server lists for games. A new swamp biome has been added to the game to add a creepy surreal feel to it along with 20 new point of interests to encourage diversification. Loads of new sentry guns have also been added that the player can construct and defend with. Aside from the new biome and POI’s the UI has been improved on greatly along with balancing the game to help with fairness online. A huge list of bug fixes have also been published that were irritating players. No mods have been written by us for Empyrion – Galactic Survival. Why not let us know if you have a mod you would like featured in this section.